Sunroom additions can open up homes and filter in beautiful natural light, making houses feel more spacious and roomy. For top-of-the-line sunrooms in the Minneapolis, Minnesota, area, look no further than U.S. Patio Systems and Home Remodeling. We sell beautiful and long-lasting sunrooms from the popular manufacturer TEMO. Studio – The versatility of this design is one of the reasons it’s consistently a popular choice. It can be used in one-wall, two-wall, and three-wall setups. Cathedral – Homeowners who are looking for a more dramatic look will love the high vaulted ceilings this sunroom offers. Walls-Only – For those who have an existing patio they would like to enclose, this is the sunroom for you. Our technicians can install floor-to-ceiling windows on your porch to create a beautiful glass enclosure. 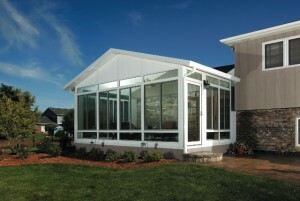 Solarium – These sunroom additions include full glass windows and all-glass ceilings. California – If you have a multi-story home, this is a great option for you as it will surely complement the look of your home. Conservatory – For a classic European look that comes in a squared or faceted version, you can choose this stunning design. To learn more about the sunroom additions we have available to homeowners in the Minneapolis, MN, area, contact U.S. Patio Systems and Home Remodeling today. One of our friendly associates is available to answer any questions you have.